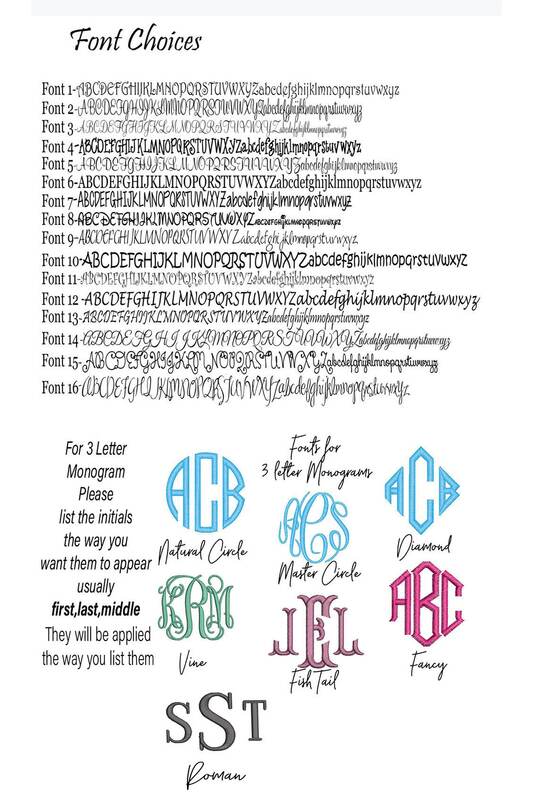 This listing is for 3 Monogrammed Tote Bags, This makes the perfect gift for the Bride, Bridesmaid, Maid of Honor, Mother of the Bride/Groom, Flower Girl, and Attendants. It is big enough you can fit all of the DAY OF essentials in here or use it to carry all of the essentials for the weekend. Great price for a beautiful & quality product. Wonderful & speedy customer service. Will be purchasing again in the future for both my cheer squad & volleyball team!! 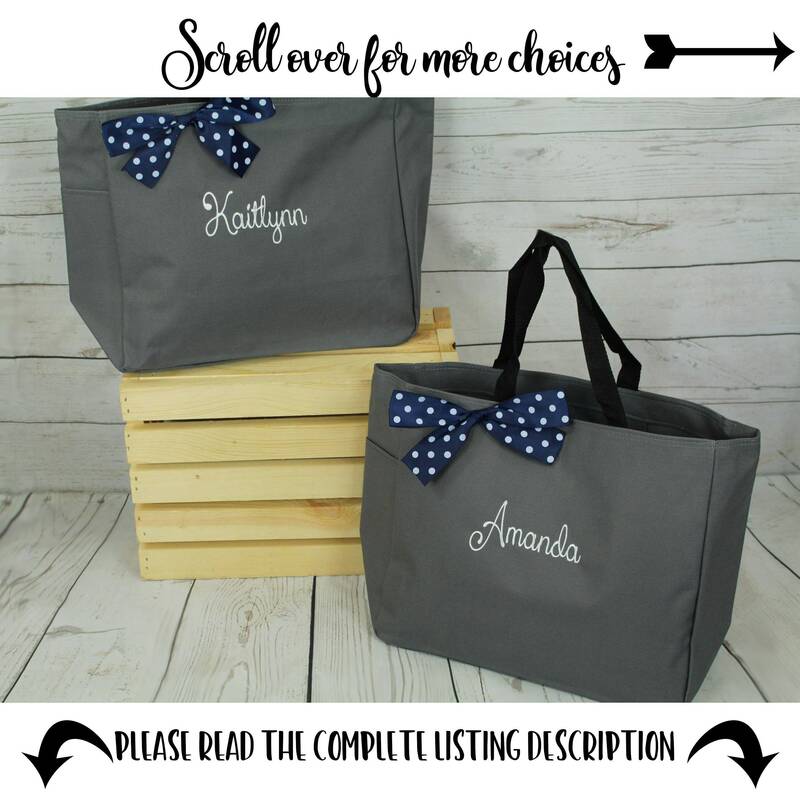 The cutest totes I have ever seen! Great quality and beautifuly crafted. I am very happy with my purchase. I just got these in the mail today and they turned out so amazing! This was my first Etsy purchase so I didn't know what to expect but these went above and beyond! 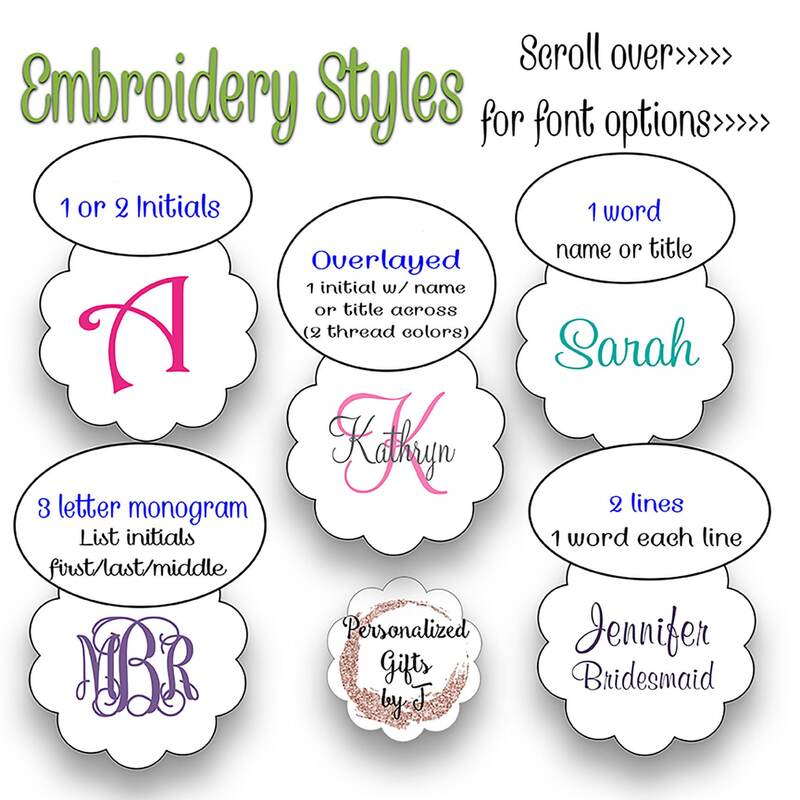 I can't wait to give them to my bridesmaids! Thanks so much!